Though you may not see as many clusters of people out catching virtual Pokémon as you used to, there is no denying the success of Niantic Labs' Pokémon Go upon the augmented reality game's launch in 2016. Now, the company has its sights set on a new AR title based on the world of Harry Potter. As Techcrunch reports, Niantic is set to develop Harry Potter: Wizards Unite in tandem with Warner Bros. Interactive and its new division Portkey Games. 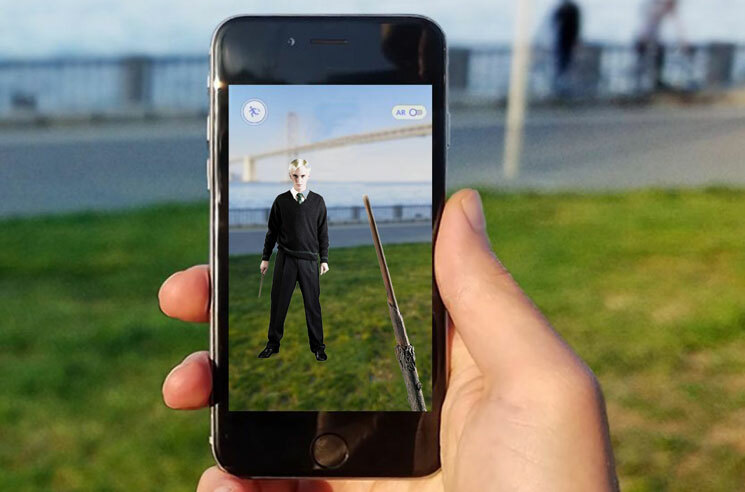 The title is expected to launch in 2018, though the prospect of a Harry Potter AR game from Niantic was initially thought to have been a hoax last year. While further details on the game are scarce, it isn't wrong to guess that the game will allow players to experience the wizarding world through location-based tech. Of course, you may end up having to decide whether you'd rather put $200,000 towards a cellular data bill after playing or a first edition of the series' first book.